Has your inspiration for engaging content ideas hit a brick wall? Do you feel like despite all your efforts, your content is falling on deaf ears? First off, take comfort in the knowledge that you’re not alone. According to the most recent Content Marketing Institute reports, producing engaging content is the biggest challenge for a whopping 60% of B2B and 56% of B2C content marketers. Why is it so hard to make stuff that people want to engage with? 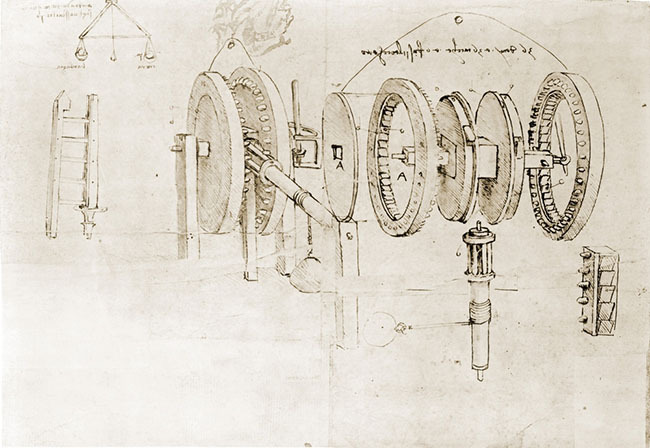 Hint: Great content marketing requires you to be a modern-day Renaissance (wo)man like Leonardo Da Vinci. Image source. We need to be data scientists. Long gone are the days when marketers could woo the masses with company-centric material. Now, in the era of consumer control, content must address the problems, questions and desires of real people to convince consumers to go on a first date and then possibly take the relationship further. To better understand said problems, questions and desires, we need to collect and analyze data on the people we’re trying to talk to. But we also need to be creative. Consumers have access to more information than ever before, so content needs to stand out against a shedload of good, bad and ugly content. It needs to be different in some way to be engagement-worthy. In a nutshell, content must now be relevant and innovative, and this is a tall order of the skyscraper variety. How can we make stuff that people want to engage with? To rise to the challenge, content marketers need to strike a balance between the science of content marketing – data analysis and experimentation – and creativity. 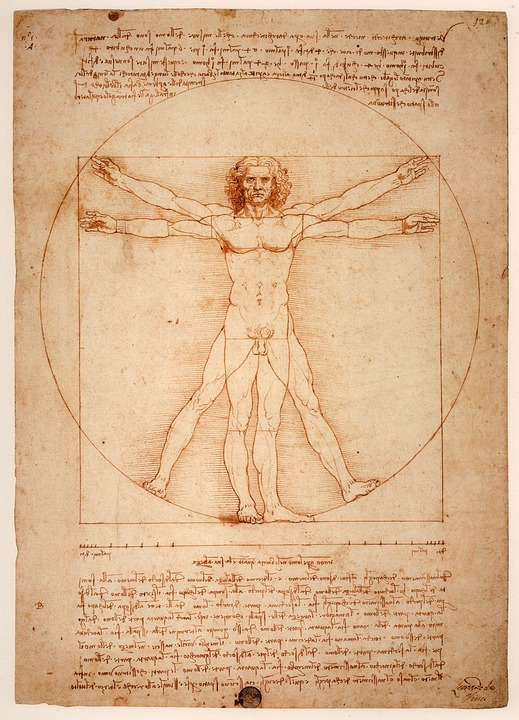 To create a content masterpiece, one must basically aspire to be a 21st century Leonardo Da Vinci. I’m going to suggest a three-step methodology that integrates science and creativity to help you craft content that amazes and engages. I hope to help you analyze data to find engaging content ideas, use creative thinking to turn data-fuelled ideas into inspired creations and experiment with your creations to create pieces that your audience truly love. Staring at a blank page? Use the powers of observation to feed your inspiration. The first step is to observe visitor behavior. 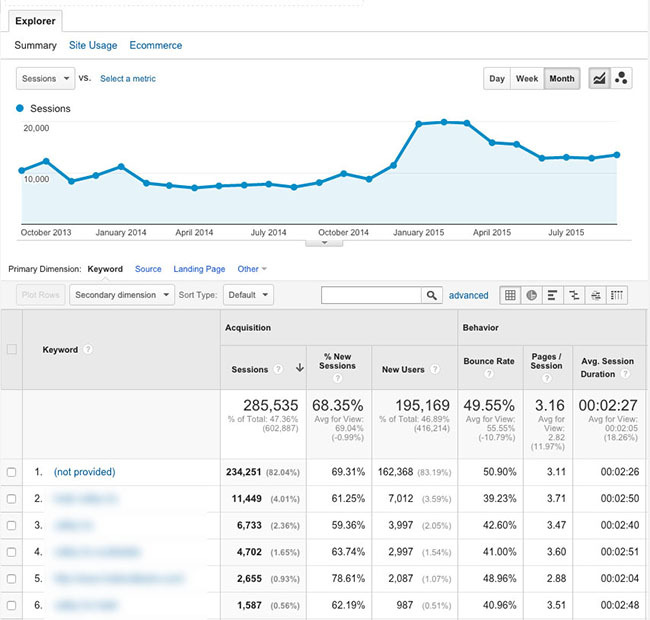 You can start by analyzing the actions of your blog visitors. This will not only give you valuable insights into what they want to read about, but also some much-needed fuel to spark ideas from. Once you have a better understanding of what topics get them to interact with you, you can then develop content ideas around similar themes. Which are your most engaging existing blog posts? Measuring the amount of time people spend on your blog posts is a nifty way to get insight into which topics resonate the most with your audience. 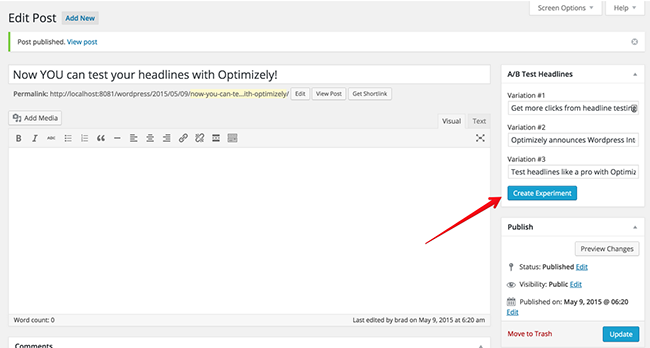 Click on Behavior > Site Content > All Pages. Note which posts have the highest Average Time on Page. These are your most engaging posts. In the example this is “/blog title 2” and “/blog title 3”. Look at any similarities between these posts, e.g. topic, format, style. Use your findings to brainstorm ideas for your next content piece. Which search terms bring in the most organic traffic? You can also find out which topics prospects want to learn more about by looking at your organic traffic. In the table, click on Organic Search. In the first column you have a list of the most popular keywords used to access your website. Note down the most popular terms (not including your company name) and brainstorm your ideas around them. Ruben Sanchez, Director of Marketing at Skyword, told me that one way his company finds inspiration for engaging content ideas is by analyzing popular SEO terms in Google Analytics. In 2014, Skyword saw a large volume of people arriving at their blog via the search term “Instagram marketing.” This was a pretty good indication that people were interested in reading about this topic. Insights into the behavior of your visitors are starting blocks for creating engaging content. Use the information at your fingertips to spark ideas for your next hyper-relevant content piece. …these things alone are often not enough to create actions that create an amazing customer experience. Bill Gates predicted that the web would become the “multimedia equivalent of the photocopier.” Lo-and-behold, we’re seeing a lot of the same ol’ and it’s getting evermore difficult to create something that feels truly original. To make content stand out, we need to integrate creativity into the content creation process. Creativity allows you to tell a story that may have been told many times before in a way that goes against the grain. Contrary to popular belief, creativity isn’t a gift that only a portion of the population is born with. It is in fact a learned skill, as this CoSchedule article explains. Anyone can learn to change his or her perspective on reality and integrate creativity into the content creation process. How can I make my content visually awesome? Everyone’s favorite content marketing mentor HubSpot tells us that visual content is easier to mentally process and understand. And you only need to look at the success of visual content platforms such as Instagram, Pinterest and YouTube to know that content that appeals to the optical senses is in vogue. Infographics, videos and drawings are just some of the formats you could use to communicate your message visually. Here’s a handy list of free tools, compiled by HubSpot, to get you started creating visual web content. How would I describe my company’s personality? How can I reflect these things in my content? Video marketing platform company Wistia engages customers with content that reflects the companies individuality. According to Wistia’s CEO Chris Savage, during the first five years the company produced “boring” and “anonymous” content that failed to attract customers. But once it began to produce content that reflected the company’s quirky personality, it saw engagement levels shoot up. In content marketing — as in science and in life — no matter how much work you put into research and creation, the results are never 100% guaranteed. Now that we’ve used science to analyze our data and creativity to improve our ideas, we will again use science to measure and improve the success of our content. The best way to optimize your content’s chances of success is to test it out on your audience, look at the results and repeat what works well. But where exactly does one begin? If you’re at a loss, headlines are a great place to start. They’re the first element of your content that audience sees, so it’s damn important to get them right. 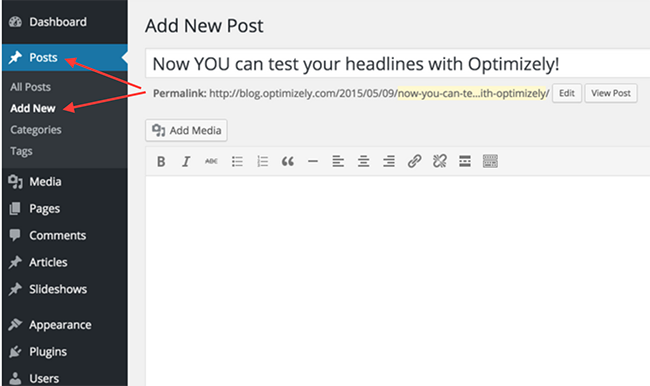 Optimizely’s WordPress plugin allows you to test headlines directly in WordPress. Once you’ve installed and configured the plugin on WordPress, you can publish a post on your website with as many headlines as you like. In WordPress, click on Posts and Add new. Get your wordsmith on. Type in your article and click Publish as usual. In the A/B testing column on the right-hand side of the screen, enter in as many headlines as you like (you defined the number when you configured the plug-in). 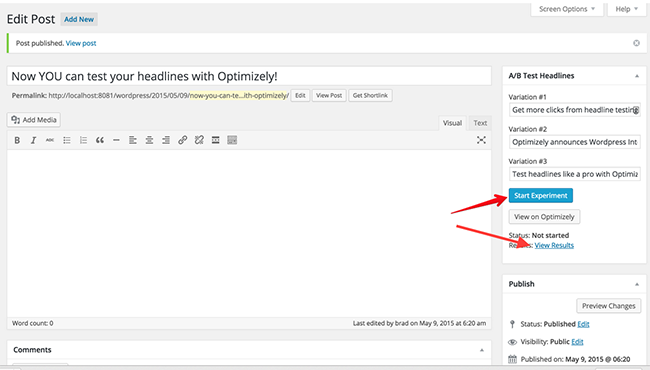 Optimizely tells us that “the more headlines you test, the longer it will take to get to statistical significance,f” so I’d recommend using 2 or 3 headlines max to start with. Then click Create Experiment. Once you click Start Experiment, your headline experiment is live. You can track your results at any time by clicking on View Results in the same page. Analyze your results. Is there one headline that outperforms the others? Use this headline for your blog post! And then ask yourself why it did well so you can replicate your success. Testing headlines on social media is a less scientific method than testing headlines directly on your website, but it can still give you some insight into which headlines are the most effective. Social media mogul Buffer A/B tests all their headlines to find which ones resonate most with their audience. 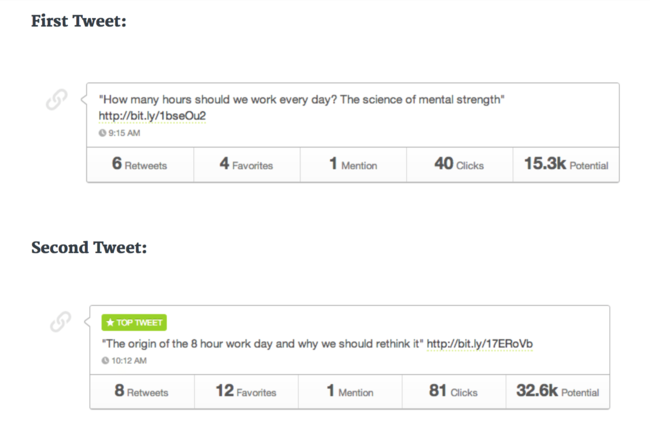 Based on a higher engagement rate with the second tweet, Buffer chose to use the second headline for the blog post. To this date this article has been shared nearly 5,000 times on Facebook, a success that Buffer’s CEO Leo Wildrich largely attributes to choosing a headline based on audience feedback. Testing your headlines is just one way you can perfect your content and create something your audience will really want to engage with — you’re limited only by your creativity! These days it takes more than data to wow people. It also takes more than just an innovative idea to succeed. Content marketers need to balance science and creativity to create content that stands a chance of getting noticed. The actionable methodology above, which unifies science (data analysis, experimentation) and creativity, is one way to integrate both branches of knowledge into your content marketing process to help you continuously create content that is customer-focused and innovative.